Artsfield-Jackson Atlanta International Airport has become the first in the world to receive 100 million passengers in a single year. The airport said it passed that threshold on Sunday with the arrival of Delta Air Lines Flight #1256 from Gulfport, Miss. Officials calculated the milestone using an algorithm that factored in the actual passenger count for January through November as well as projected passenger numbers this month. The flight was greeted in Atlanta by a water cannon salute provided by Atlanta Fire and Rescue, as well as by guests and dignitaries, including Atlanta Mayor Kasim Reed. “Today we are making aviation history,” he told the crowd, according to a press release issued by the airport. Also as part of the festivities, the airport designated Delta 1256 passenger Larry Kendrick as the 100 millionth passenger. The industrial construction worker, who was laying over in Atlanta en route to a job in Iowa, was given a 2015 Nissan Altima and two roundtrip Delta One first-class tickets to anywhere in the world. Hartsfield-Jackson has seen a 5% increase in passengers this year, higher than the 2% jump that was forecasted when the year began. Delta, which is based in Atlanta and is by far that airport’s biggest tenant, also put out a triumphant statement upon the occasion. 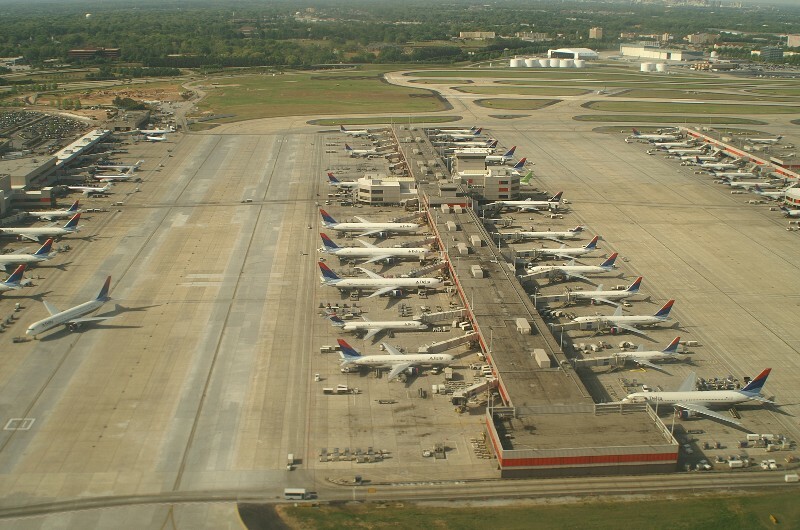 “As Delta has grown into a global player, so has Hartsfield-Jackson. It’s the world’s busiest airport by passenger volume,” the airline said. Beijing Capital International Airport was the world’s second-busiest airport in 2014, receiving 86 million passengers, according to Airports Council International. 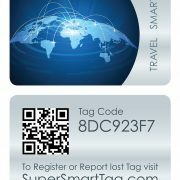 It was here at Atlanta Airport that SuperSmartTag was born! 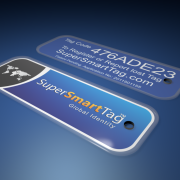 SuperSmartTag founder Gordon Francis Jovic while waiting 3 hours for a connection flight to Miami observed all the carry-on luggage and realised most travellers don’t actually have any form of protection against loss. Having lost luggage himself on several occasions he started to think and then came up with the idea.